Our Furling Genoas are carefully designed for your boat to minimise the compromise you will experience having to use one sail through all wind strengths. A very important consideration for this sail is the choice of cloth. 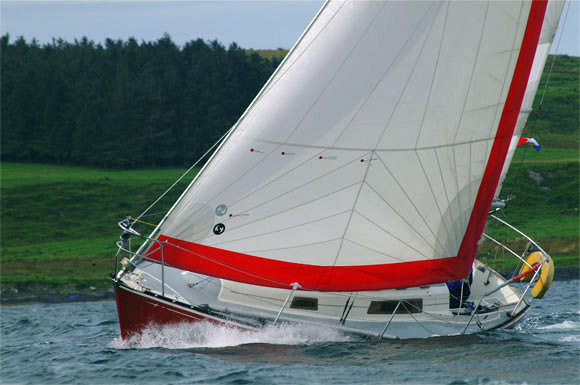 Our advice is to put as much of your budget into the cloth as the sail is going to be asked to perform in a very wide range of conditions. High specification cloth will have low stretch figures, helping to maintain the designed shape as the sail is furled down. Cross cut sails can be built using Dacron. This is a tightly woven polyester fabric, which is available in various construction specifications. It is ideally suited for cruising applications, as it is easy to handle and durable. 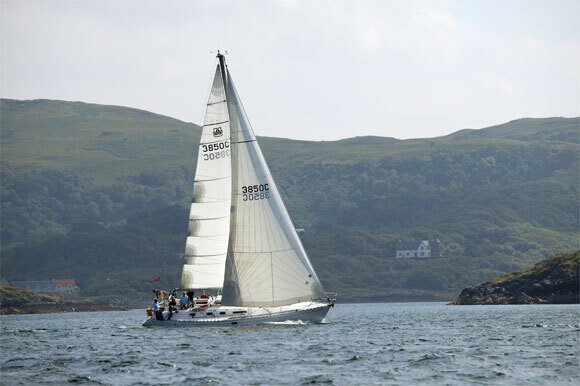 Dacron sails will perform well in their youth, however performance can only be maintained over time by using higher specification fabrics. If you are more performance conscious then Hydranet, a Polyester/Dyneema combination, would be a fabric worth consideration. The stretch characteristics are far superior to those of regular Dacron and the sail will hold its designed shape throughout the wind range more efficiently. The next option would be a tri-radial cut Genoa, construction using a laminate fabric. The tri-radial construction has the panels radiating from the tack, head and the clew, which means that the stresses on the sail are aligned with the fibres in the cloth allowing the designed shape to be maintained as the sail is reefed. This panel configuration also allows a heavier weight of cloth to be used in the high load areas. This helps to simulate a sail change because of the percentage of heavy cloth in the sail increases as you furl it in. 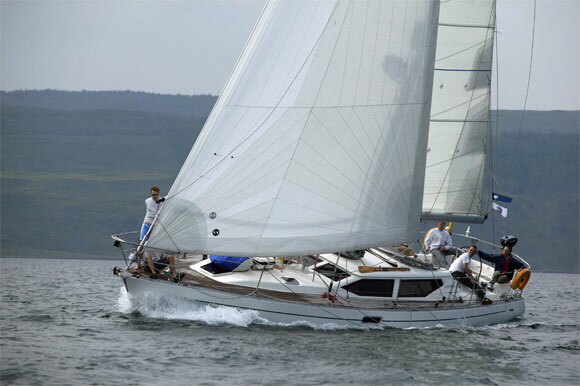 A laminate fabric constructed using Polyester, Pentex, Vectran or Spectra fibres would be selected for a tri-radial Furling Genoa. A foam luff is also a worthwhile investment if your yacht is over 30ft. The addition of tapered foam pads attached along the length of the luff will assist the sail to roll evenly. This is particularly important if you do not sail with a hard rig as luff sag will cause the sail to roll at the head and tack first, resulting in increased camber.